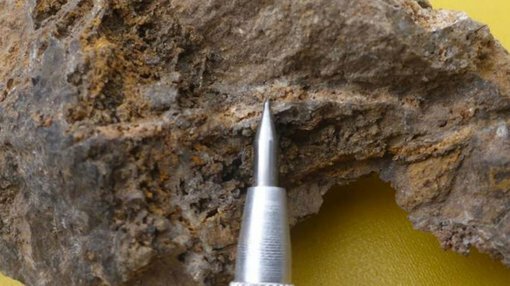 Inca Minerals (ASX: ICG) has released assay results for samples collected during a brief mapping and sampling program at its Cerro Rayas zinc project in October. This is the group’s second zinc-silver-lead focused project in Peru, and it is located 15 kilometres from the Riqueza project which is approximately nine months ahead of Cerro Rayas on the exploration curve. There are strong similarities in mineralisation between the two projects with Riqueza having already delivered impressive exploration results. The Cerro Rayas results included peak values of 42.77% zinc, 258 grams per tonne silver and 26.1% lead. However it should be remembered that this is an early stage play and share trading patterns should not be used as the basis for an investment. Those considering this stock should seek independent financial advice. Exploration focused on two old mine workings, Vilcapuquio to the north of the concession and Wari to the south. Working sample averages from both sites featured outstanding zinc grades of 18.8% and 30.5% respectively. ICG’s Managing Director, Ross Brown highlighted the fact that Vilcapuquio was strongly mineralised in zinc only, while Wari has demonstrated mineralisation consistent with high levels of zinc, silver and lead being contained in the orebody. 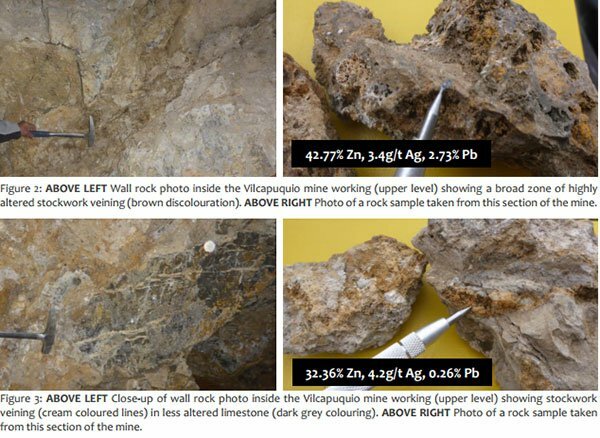 Summing up the significance of these early stage results, Brown said, “Both appear to be separate structure-related mineralised systems almost certainly associated with geological faults, and this being the case we now have a minimum of two high-quality exploration targets at Cerro Rayas”. From a broader perspective, initial exploration initiatives at Cerro Rayas are focused on determining the characteristics of mineralisation occurring at the two mine workings located within the project area. Understanding the style, strike direction and width of mineralisation, along with other geological factors will assist ICG in shaping future exploration. From a longer term perspective, management intends to focus on identifying additional zones of mineralisation along known mineralised structures, as well as identifying additional mineralised structures. Several phases of mapping and sampling are planned for 2017, and depending on results ICG will then make a decision as to whether it will progress to drilling.